At Bayside Australia we offer extensive building services, and have done so since 1995. With a full contingent of highly qualified tradespeople and craftsmen experienced in both civil and construction projects, you can effectively judge the level of our work, and see why we’re the recommended choice. Here's just a small sampling of projects that our team have completed. Bayside Australia was proud to be involved in the internal fit out and full-site branding of BP’s newest service station in the beautiful Margaret River town of Cowaramup. It was a huge effort to complete this project in time for the opening in early January 2019, but the end result speaks for itself. Special mention to Bayside Australia’s dedicated supervisor Steve Foulis and all the trade partners who assisted in delivered this exceptional project. A great way to finish off 2018! Bayside Australia was recently engaged by BP Australia to undertake an extensive security upgrade to a Truckstop facility in Newman, Western Australia. The works included a full upgrade to the existing CCTV and alarm system, new solid core doors to ensure staff safety and security, safe havens, mesh gates and the securing of the rear storage areas. The shop also underwent a minor renovation with all new POS counters, hot food display food cabinets, lighting and a coat of paint to brighten up the space. The work was organised in advance with a number of key supporting contractors engaged to ensure a smooth project was delivered while the entire site remained operational. Bayside Australia recently had the opportunity to fit out the warehouse of People In Plastic, which involved the building of an enclosed mezzanine floor. The idea behind the project was to create a pleasant, functional working space for staff, a stylish reception and showroom for customers to view products. The design was sleek, functional and was a great success, finishing on-time and on budget. Engaged by the Dampier Bunbury Natural Gas Pipeline, Bayside Australia recently completed the re-roofing of the gas station switch room at the Tubridgi operation just outside of Onslow. Carefully planned and executed, the team ensured all roofing materials arrived on-time along with strict adherence to the clients OHS and work permit protocols, guaranteeing another successful project in remote Western Australia. 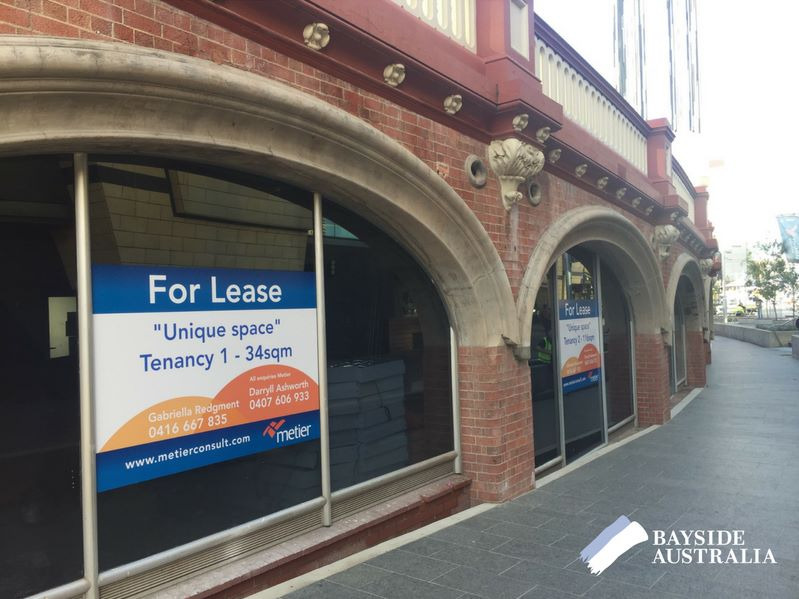 Bayside Australia, along with the MRA and Public Transport Authority, renovated the area under the Horse Shoe Bridge at Yagan Square in preparation to lease out for tenancies. With the demolition of old structures, walls, flooring, ceilings, electrical and mechanical, combined with the reinstatement of the new plans, this was a remarkable restoration. With a thorough tender process, Bayside Australia is proud to have been awarded the base build works to demolish and fit out these notable premises. Bayside Australia was invited to tender on the demolition and construction of a new ablution block at their busy BP Kalgoorlie TS. After a successful tender process, we hit the ground running. The client required the job to be completed in a very tight time frame of 12 weeks which Bayside accomplished. Carrying out construction of the building while leaving the site fully operational was difficult however there were no delays and no impact to site operations for the duration of the build. Kewdale Truckstop - Internal fit out and redevelopment of existing shower block and toilets. BP came to us with a vision to remodel their internal dining, trucker lounge and ablution block. After a brief site visit we presented a proposal and design to accommodate the new shower and toilet facility requirements in line BP current design standards. These works were required to be completed within a 6 week time frame, this short completion time frame was requested by BP to coincide with other BP site upgrades. Marrying old and new services infrastructure was complex but, in the end, clear communication between all trades and management led to a successful outcome. An engineering assessment was undertaken by BP to a coastal site which identified the need for urgent remedial works due to corrosion of the structural steel. Bayside were engaged to undertake rectification works in line with the engineering recommendations whilst at the same time undertaking asbestos removal of building fascia’s, construction of new shop front and full site rebrand in line with their current global branding guidelines. These works posed a lot of difficulty as the majority of the works were to be done in high traffic forecourt areas. A methodology was proposed to BP which allowed the site to remain operational to a minimum of 60% capacity while still ensuring the safety of all workers and customers. The works were completed within the short 4-week time frame. 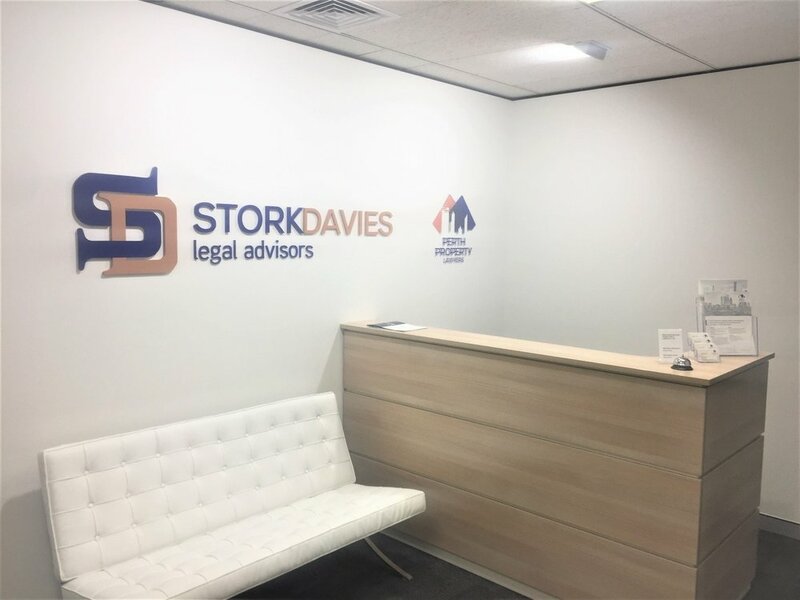 Stork Davies Legal Advisors - New Tenancy Office and Meeting Room Fit Out. As part of a lease agreement Bayside were engaged at short notice to provide a full design and construct fit out of new tenancy at 256 Adelaide Terrace. A quick turnaround ensured the new tenants were able to move into their new office space prior to their existing lease expiring. As a design and construct fit out Bayside was required to provide all Council approvals, building and occupancy permits. With only 8 weeks to carry out the design and approval process Bayside managed to have all works completed to the schedule with only a 3-week construction schedule needed. Another repeat client who came to back Bayside to assist with their remodelling of their busy IGA store in Maylands. This involved internal structural changes, floor and plumbing modifications and new shop façade. As with previous successful jobs Bayside have carried out the difficulty here came with old and new services infrastructure coinciding. Works were scheduled to allow for zero site shutdowns and the store remained operational at all times. To achieve this all disruptive works were carried out after hours with a day crew coming to site the following day to continue with lower impact works. This project was successfully delivered to the client within their required 6-week time frame. The nearly complete canal development was inundated by a tropical cyclone passing the Town of Exmouth. The vertical walls were not fully protected and the hydraulic load caused approximately one third of the walls to rotate. The remediation required that the compacted fill behind the walls be excavated and the geofabric carefully removed and protected from damage. 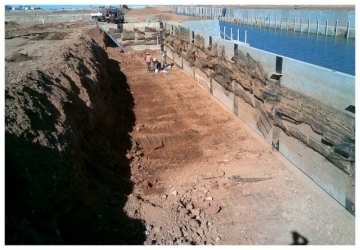 The panels were then straightened, a bottom drain installed, and the reinforced compacted fill placed.